Nurses do so much, including laying our heads down to rest during our toughest moments. 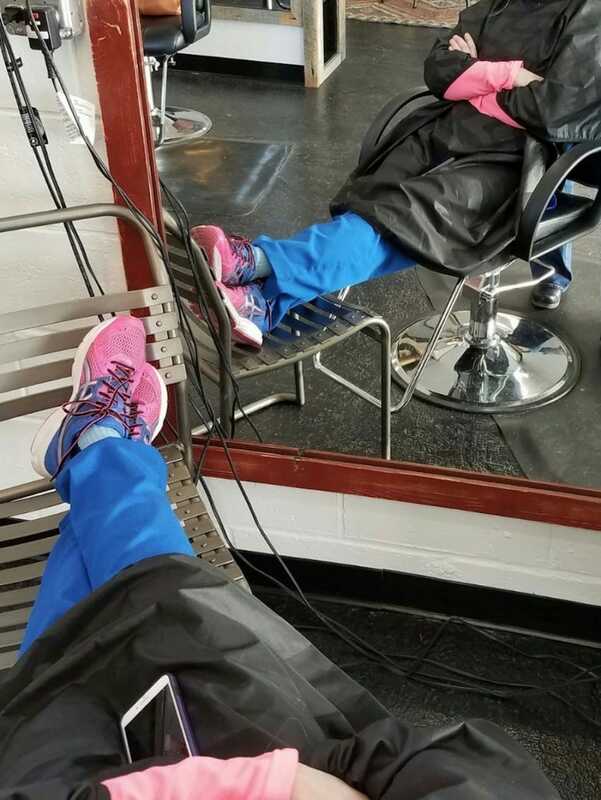 A hair stylist had the opportunity to turn the tables and let the Nurse do the resting and let her be taken care of. The stylist wanted the Nurse to have no worries and be completely relaxed and safe in her hands at that moment, the same way a Nurse treats a patient. Have people in your life, strangers or loved ones, shown appreciation for all you do? We would love to hear your stories! I wondered how many miles those shoes have walked. I wondered what they’d walked through. Blood? Tears? In & out of the countless rooms of the patients she’s cared for? I wondered how many hours they’ve carried her, and all those like her, while they literally save the lives of those we love and hold the hands of the ones who can no longer fight that fight.